Puntin began garnering national attention when he performed at the 2011 BET Music Matters Showcase in Los Angeles, CA. On December, 14, 2011, Puntin released his first mixtape “Champion”, which pushed over 10,000 units. Considering his buzz from “Champion”, Puntin released the 1st installment to his mixtape series, “Bananas Vol. 1”. December 30, 2012, the mixtape was downloaded over 7,000 times, and streamed over 30,000 times on datpiff. His independent album release, “Back to the Basics”, released April, 22, 2014. It became his first Hip-Hop album to chart on the iTunes Hip-Hop/Rap charts. His most recent album "Legacy", which was released on Nov, 9, 2018, charted on iTunes Top 100 Hip-Hop/Rap Charts. Puntin has performed on the same stages as Kirk Franklin, Tye Tribbett, James Fortune, Ludacris, Juvenile, Mystical, Paul Wall, Chamillionaire, and Lil Flip. He has toured overseas in England, New Zealand, and all across the U.S. Puntin has won the Texas Gospel Rapper of the Year (Texas Gospel Excellence Awards) 2008, 2010, 2011, 2012, 2013, 2014 and 2015. His mission is to touch lives through his musical gift, and prove that there can be great rap music without profanity and the glorification of violence. 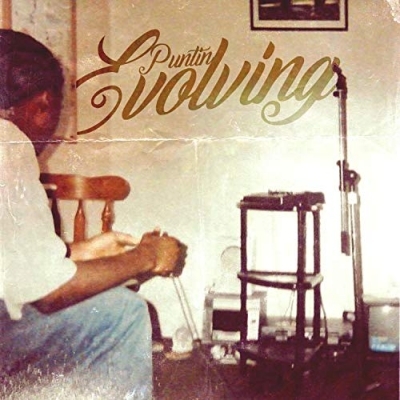 Puntin has gained fans and supporters worldwide from performing, and utilizing social media to stay connected with them. He has produced a major majority of his own beats, along with writing his own songs. His uniqueness, hard work, dedication, and humble spirit makes him a fan favorite.